I don’t know about y’all but when I wander around craft stores (who am I kidding, stores in general) I find awesome seasonal decor ideas but then cringe at the price point. Maybe I’m just cheap? This year was no different. 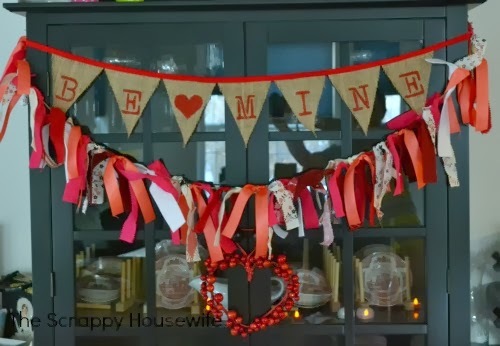 I found a really cute scrappy fabric garland for Valentine’s Day at Michaels, but I didn’t want to use my hard earned scrapbooking money (*ahem*) on extra decor for the house. Priorities people! 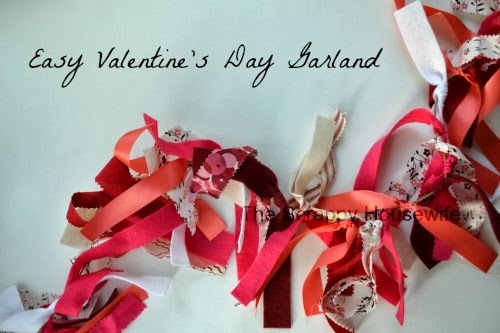 Then I realized I had a TON of pink, red and white scrap fabric, ribbon, felt and left over twine stashed in my craft room. I could just make one! For FREE! And it’s super simple guys. Promise. 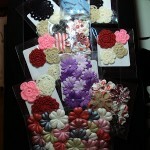 I just grabbed my scrap fabric, ribbon, twine, scissors and pinking shears and got to work. 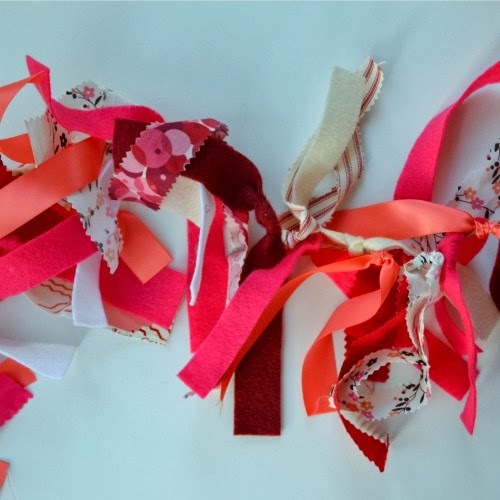 I used the pinking shears to cut strips of quilt weight cotton fabric and my scissors to cut strips of felt and ribbons. I liked the effect of straight edge and pinked edge together. I didn’t even measure, y’all! Just tried to get them as close to the same length as possible. Then I cut a length of twine about 4 to 5 feet in length. 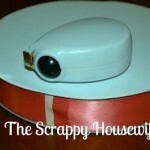 All that was left to do was wrap the fabric strips around the twine and make a knot. In the span of a couple of catch up episodes of Sherlock I had a totally cute garland to add to my Valentine’s Day decor! Here it is hanging up in our dining room. The Be Mine banner is from Isaboo Designs. I won it a couple of years ago from Eva @ Tales of the Scotts. 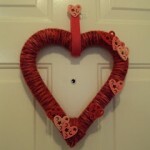 And the heart wreath came from either Michaels or Dollar Tree five or six years ago. I love, love, love how this came together. I don’t do a ton of holiday decorating aside from Christmas so this was perfect. I just used some Command hooks to hang it on the sides of the hutch. I couldn’t be happier with it!